Summer campers have converged on the Trinity Christian School campus to learn new things, meet new people, and make new memories. It’s great to see some of our secondary students assisting with the camps. As they serve in new ways they are learning, too – about the gifts and abilities housed within, and the ways that God can use them. Many of our student athletes have been on campus, as well. By attending the voluntary, out-of-season practices held during 3 weeks in the summer, they have the opportunity to meet new coaches, welcome new teammates, and forge team bonds. The girls soccer and football teams have the extra benefit of using the beautiful new athletic field for their practices. 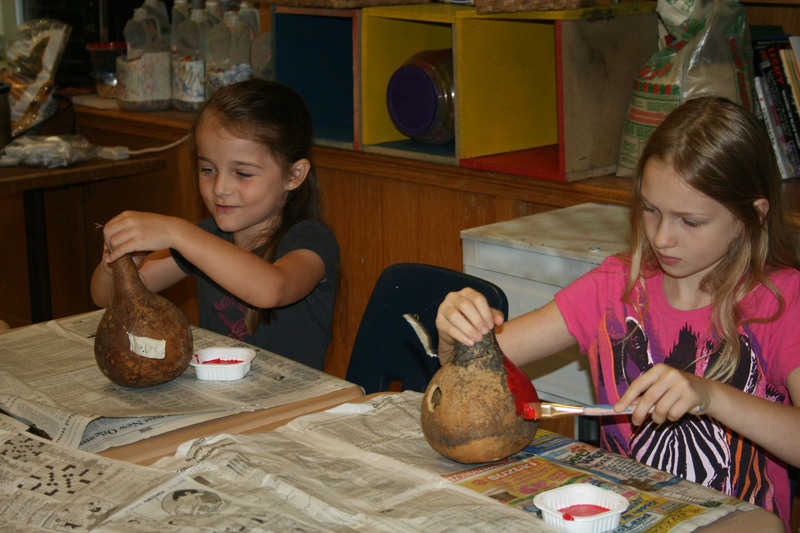 Students at the Trinity art camp are creating a variety of crafts and artwork with a focus on Native American art. There are still spots remaining in some of our camps. Please call the school at 304-291-4659 or email Camp Director Dan Gottron (dgottron@tcswv.org) for more information. 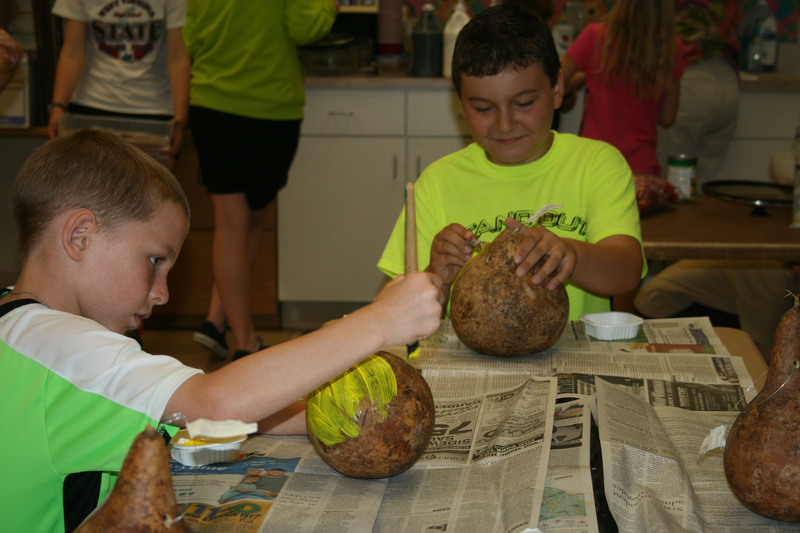 Wildlife campers are exploring the out-of-doors and making nature inspired crafts. In this picture, they take a break from the nature-themed activities for a time of singing. Thanks to our supporters, the girls’ soccer team can work on their skills on the new athletic field. Jamal Womble, has jumped right in to his new position as new Boys Head Basketball Coach, leading the team in their 3 weeks of voluntary practice sessions this summer. Great items are coming in for the Trinity Christian School fall auction. The auction committee is planning to offer a wide variety of items in every price range. It promises to be a great family event, so be sure to set aside September 20th and 21st!